H.R. 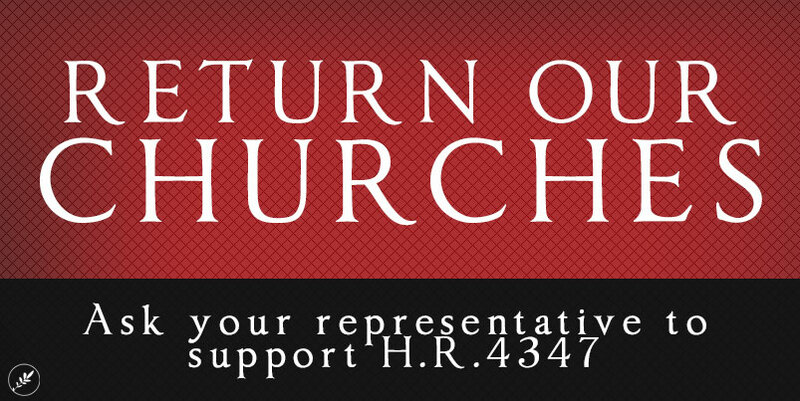 4347 is a bipartisan bill that seeks to hold Turkey accountable for its confiscation and destruction of Christian sites in Turkey and in occupied Cyprus, as well as for its treatement of religious minorities. Read the bill here and learn more about the bill here. Use our easy-to-use tool and sample letter to write to your Representative today asking that they sign on to this important measure. The more co-sponsors we can get, the greater the likelihood H.R. 4347 will make it to the floor for a vote.